As Easter approaches, I have been concentrating on the sections of scripture that speak of Jesus’ Passion. This passage popped out to me during prayer a few mornings ago. 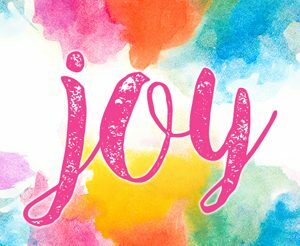 What stuck out was the word joy! What could have been so joyful about the cross? What was that “joy that was [laid] before Him” to endure the cross and all of its pain and scorn? I believe that joy is us. You and me. I believe Jesus looked down through all of history and saw every human being that would choose to love Him, every person that would accept His sacrifice for their lives, all those who would become new creations in Christ. He saw all those people and that was His joy! That was the joy that gave Him the decision to endure the cross. However, I also think He saw all those who would choose to reject His sacrifice, too. I believe He looked at them with the same joy, and longed for them to love Him also. The love of Jesus is so deep we could never wade in it. It’s so wide we could never cross it. His love is so immense that we can not truly fathom how far it goes, in every direction! I pray that this Easter season finds you contemplating the love of the Lord Jesus Christ for you. I pray that His love will wash over you in new waves and take you to new depths of understanding in how much joy He takes in you! Amen.